Tragging Fixed Assets is a fixed asset tracking software that offers medium-sized and large-sized enterprises a smart platform from which to perform physical inventories and reconcile asset counts. Incorporating RFID technology, multiple reports and multi-user functionality, Tragging Fixed Assets aims to deliver a user-friendly fixed asset tracking solution. Designed to operate alongside a Windows CE/Mobile handheld computer device with integrated RFID reader, Tragging Fixed Assets allows users to localize and track physical assets quickly and accurately. Utilizing RFID technology, Tragging Fixed Assets serves to automate the process of physical inventory management. 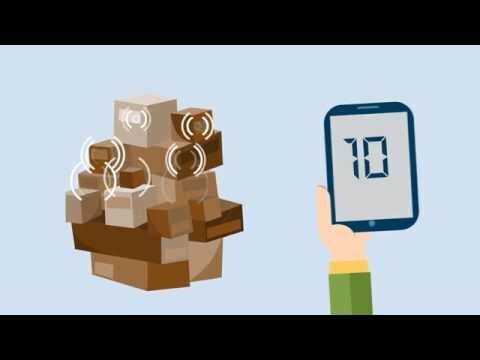 To automate inventory activity effectively, Tragging Fixed Assets permits users to track unique RFID tags attached to existing assets. Using the RFID tags, Tragging Fixed Assets enables users to reconcile asset counts instantly via their handheld computer. Further to RFID compliance, Tragging Fixed Assets supports other important features including multi-structure, multi-user and multiple reporting functionality. Besides fixed assets tracking reports, Tragging Fixed Assets allows users to generate financial reports and amortization schedule reports easily. To further enhance user productivity, Tragging Fixed Assets facilitates bulk entries, data import from Excel and QuickBooks integration. By allowing users to track warranty information, maintenance schedules as well as the entire fixed asset lifecycle, Tragging Fixed Assets seeks to implement a smooth workflow for fixed asset management. The other day, while watching the news on MTV, I was intrigued by a report on a company named Tragging. I looked them up and saw what business solutions they offer where I ran into their fixed assets tracking software. It was actually what I needed for my company. Being a manager at a huge machine manufacturing company, I have always suffered from the issue of squandering. Some of my employees are extremely messy and well let's say 'imprudent' or 'reckless' if you may, where they waste a lot of raw material in the process of manufacturing. Stainless steel, metal sheets, coils, drill bits and the like cost me an arm and a leg every year! Not to mention that we're always struggling with the misallocated or lost fixed assets which compel us to repurchase the equipment all over again. Imagine the time and money wasted in the process of repurchasing and waiting for the delivery and so. I paid them a visit, and they were the friendliest people you can ever imagine. And we closed the deal! They installed the software at the company within no time and they guided me and the team through the various steps of the implementation process. They also suggested granting us hands-on training sessions to help my team get more familiar with the software. Frankly, I was amazed by the difference this little thing has made! Now, I never have to worry about fixed assets and equipment as everything is under my control. Squandering doesn't exist any longer and I have never been happier with how the things are going. In essence, this software is OUTSTANDING! The software is very useful and ease to use. It helped me to update asset code, asset location code, It also helped me to compare assets summary with insurance policy coverage , so that I started having one asset register across financial accounting, management information report, annual maintenance contract, insurance policy coverageease to use, export, import to from excel, email attachments are easy. ease to use, export, import to from excel, email attachments are easy. The software enables companies to prepare fixed assets register, depreciation and amortization schedules , and aids in preparation of financial reports like the balance sheet.The software enables companies to track and account for all fixed assets accurately and quickly. Very efficient for companies with assets in different locations. The software enables companies to track and account for all fixed assets accurately and quickly. Very efficient for companies with assets in different locations. It has problems with integration especially for companies using various softwares. I think you're the only company that knew how to combine between the RFID ease to use and comfortable software. The software interface is beautiful, you feel like you use a software designed by the aliens! Really it's a very good RFID system. But I have one suggestion, you should improve the reports section. To receive accurate pricing information, contact Tragging Fixed Assets directly. Tragging Fixed Assets is designed to be user-friendly, providing users with a platform which is based on visual interaction and color indicators. Tragging Fixed Assets is built using RFID technology, allowing users to perform physical inventory quickly and effectively. Multiple reporting tools permit users to generate accurate financial and amortization schedule reports as well as fixed asset tracking reports. Tragging Fixed Assets facilitates advanced data import, serving to assist users in importing or mapping data efficiently from Excel sheets. Maintenance scheduling capabilities, enable users to see when a piece of equipment is due for service. Below are some frequently asked questions for Tragging Fixed Assets. Q. What type of pricing plans does Tragging Fixed Assets offer? Q. Who are the typical users of Tragging Fixed Assets? Q. What languages does Tragging Fixed Assets support? Q. Does Tragging Fixed Assets support mobile devices? Q. Does Tragging Fixed Assets offer an API? No, Tragging Fixed Assets does not have an API available. Q. What other apps does Tragging Fixed Assets integrate with? Q. What level of support does Tragging Fixed Assets offer?